It is so good for you, full of fibre and beta-carotene, but it seems sooo uninteresting. The taste is nice but you can’t just toss it in everything and hope for the best, can you? Well, the answer is that you almost can! I was searching for new ideas on how to use it. And hopefully in a kid-friendly too, and stumbled on this pot of gold: None less than 30 ways to sneak the green little leaf in your food. All the way from Avocado,Kiwi, Spinach smoothie, to spinach, lentil, ragout. 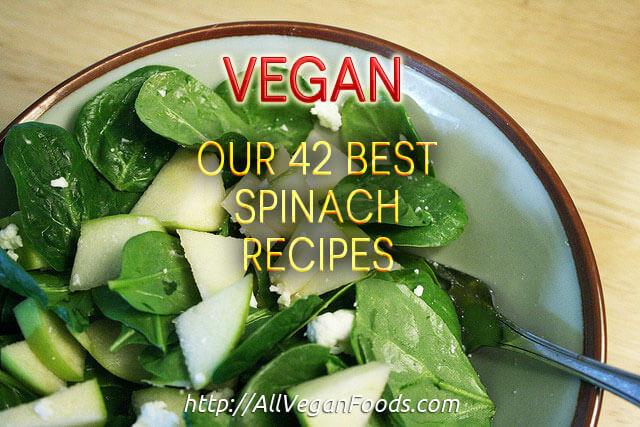 Just be aware that the recipes are vegetarian and not vegan (most are though) so be sure to use a vegan alternative to cheese and pasta among other things, or just get inspired to use it in the dishes you already make, like I did.